Yunior Severino has agreed to a $2.5 million contract with the Twins, according to a source with knowledge of the deal. The deal will become official when Severino passes a physical. 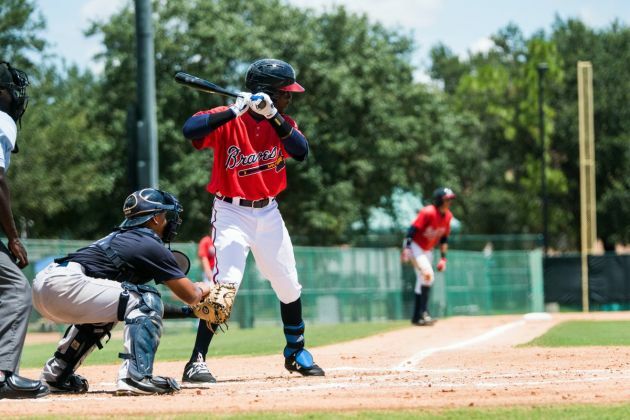 Severino, 18, was one of 12 prospects who became free agents when MLB sanctioned the Atlanta Braves for violating international signing guidelines. The Dominican infielder was ranked as the No. 8 international prospect by Baseball America last summer, when he signed with Atlanta. Severino, a switch hitter, played in the rookie-level Gulf Coast League last season and, combined with 10 games in the Dominican Summer league, hit .270 with three home runs and 29 RBI in 58 games as a 17-year-old. The Twins also made a run at Kevin Maitan, who was signed for $2.2 million by the Angels. The Twins, sources said, offered more money than the Angels, but Maitan was reluctant to sign with Minnesota because the organization is loaded at shortstop. It appears Severino, who plays second base, got a better deal than Maitan by $300,000. Teams are allowed to use their 2018-19 international bonus pool money to sign the former Atlanta players. The Twins have $1.25 million left in 2017 international bonus money salary cap after sending $1 million in cap money to both Seattle and the Angels on Wednesday for prospects. Baseball America has an update on the other ex-Braves who were originally signed as international free agents.